In recent months I've become a bit of a fan of the petal envelope, even using it for my own wedding invitations. 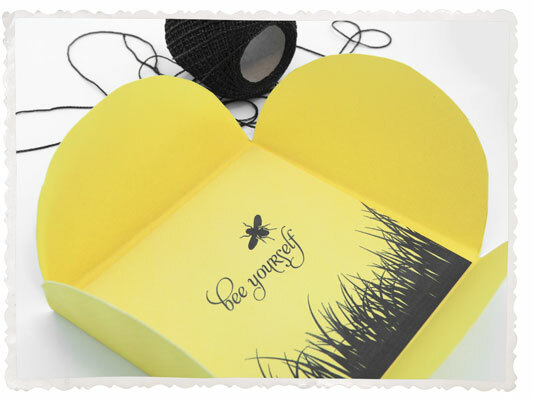 It's a fantastic way to add that extra wow factor to your invites, and, it's really simple. Start by selecting the size of your inserts, these will be square. Lets say you choose 145mm square. This could be a single folded card or a few loose inserts. On a piece of thick card we are going to draw up a template. Start by drawing a square slightly bigger than your invitation, in this case 150mm. On each side of the square draw a semi circle with the same diameter. See photo 1. 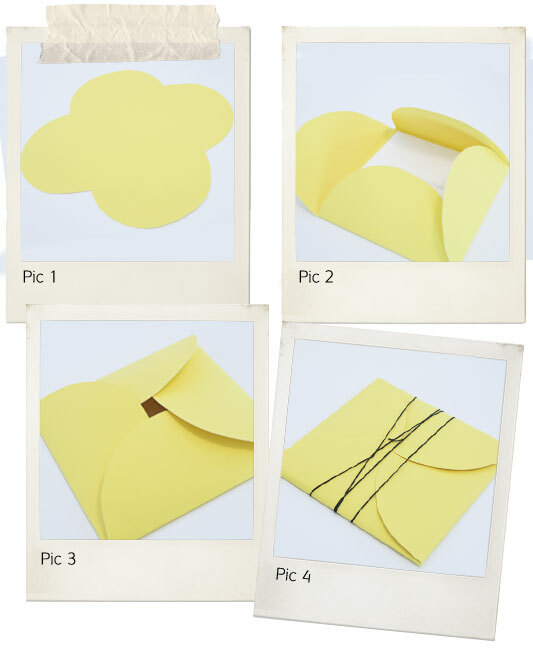 Cut out your template and use this to draw up guides for cutting out your petal envelopes. You can use plane coloured card paper or something with a pretty design. Depending on the thickness of the paper you might even be able to save a bit of time and cut out a few at once. Place your invitation in the center and the fold over each flap placing them under one under another. See photo 2 and 3. Finish off by wrapping string, ribbon or lace around the envelope. See photo 4.